It’s easy to focus on big decisions, and how they altered the course of your life, but the big decisions we make in life are determined by our everyday choices. Mahatma Gandhi encouraged being the change we want to see in the world. 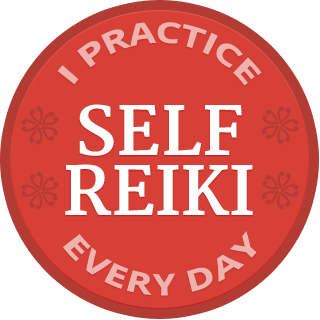 Daily Reiki self-practice is the simplest way I’ve found to engage that transformation. There are as many ways to practice Reiki self-treatment as there are Reiki practitioners, and the best way to practice is clearly the way you actually will practice. That said, in case you don’t have a protocol, here is the one I use, and some pointers to help you keep practicing for life. I lie on my side with the pillow doubled over for the first three placements, finding it more comfortable when my head is slightly elevated, and roll onto my back for the rest. My practice time is when I awaken in the morning, before opening my eyes. My hands linger at each placement as feels right. My awareness is present with my practice, observing my breath and whatever sensations occur as I savor the experience of Reiki essence. Often, I am drawn deeply inside, surfacing only to replace my hands. I linger at the end to contemplate the experience. That works well for me, but it’s important you organize your practice so it works for you. For example, you may prefer the structure of having intervals timed for you, especially if you are just starting to practice. If so, consider using a chime timer that emits sweet tones to remind you to move your hands and let you know when your session ends (the sound of a kitchen timer is much too harsh). There are Reiki timer apps available for your phone. Don’t be random with your practice. Choose a time of day that is easiest for you, and don’t let that time go by without placing your Reiki hands on yourself. Of course there will be days when you will not finish all the placements. Self practice for 30-40 minutes seems to be a good range for most people, most of the time, but you want to be flexible and responsive to your needs on any given day. Remember Hawayo Takata’s* encouragement — a little Reiki practice is better than none. When life imposes on your practice time, as sometimes happens, do what you can that day to maintain the rhythm of your daily self-care, and return to the full protocol the next day. You may want to follow Mikao Usui’s** example and recite the Reiki Precepts as part of your daily practice. However you customize your practice, keeping it simple means keeping it doable: Practice, observe, contemplate, repeat. It’s easy to focus on big decisions, and how they altered the course of your life, but the big decisions we make in life are determined by our everyday choices. Become the change you want to see in the world (and in the people around you); practice daily Reiki self-treatment. What keeps you practicing every day? Please share your tips in the comment section below. And if you start a daily practice, let us know the benefits you notice. *Hawayo Takata and her Reiki master Chujiro Hayashi, a student of Usui, brought Reiki practice from Japan to the US in the late 1930s. **Mikao Usui began the practice that has come to be known as Reiki in Japan in the mid 1920s, and is the founder of the living lineage of Reiki masters. Nothing deepens your practice experience like a retreat. Please join me for the Usui Virtual Retreat, a retreat you can do at home on your own time! If you found enjoyed this, please sign up to receive more free support for your Reiki practice! Sometimes we judge ourselves for not having the time or conditions to do a full reiki session. It is good to hear that it doesn’t have to be always perfect. “A little Reiki practice is better than none” sounds very comforting. Thank you! Margaret, I can only speak from my experience and training. I practice Reiki as it was brought from Japan by Hawayo Takata and her Reiki master Chujiro Hayashi, who was a direct student of Reiki founder Mikao Usui. From my experience and training, there is nothing about Reiki practice that takes over your system in the way you describe. Rather, Reiki practice encourages your system to find its own natural balance. Since Takata died in December 1980, people have made many changes to Reiki practice and even to the initiations, so I don’t know what your practice is. Regardless your practice style, my WRITE REIKI program would help you deepen your practice. We also don’t know what’s behind your fatigue. It’s possible that your Reiki self practice is helping you, that you would feel worse if you weren’t practicing. I encourage you to investigate this situation through whatever venue is meaningful to you. You might, for example, take a look at what’s happening in your life and your lifestyle habits. We all need more than Reiki practice. Take a look at my Healthy Lifestyle page and see if anything there appeals to you, or perhaps seek out a qualified Chinese Ayurvedic doctor who can assess the situation and offer non-invasive remedies. I am currently carrying out an online course for Reiki. I have received my attunements and I am just starting self practise. I have a couple of queries. I imagine 10 minutes is better than nothing? As some days I find I do less than others. Also, my biggest query, is I would like to know if it matters if I do Reiki after food? I guess it is not ideal but again, if it means it’s the only time to do it then again that must be better than not at all yes? Finally, do you have to close down the session? So, if for example I do a session last thing at night and fall asleep. Does it matter that I have not washed my hands after? Thanks SO much and sorry for all the questions! Emma, why aren’t you asking your Reiki teacher these questions? They are very reasonable questions that would be addressed in a basic First degree training. I have a different practice than yours, one that is very traditional, so I have no basis to comment on what you’ve been taught, but I can share what I tell my students, which is to aim for 30 minutes of self practice every day, and do what you can on days when that is not possible. I don’t wash my hands after self practice and have no idea why one would. That’s not traditional. You might want to supplement your training with my book REIKI: A Comprehensive Guide. One of the things I discuss there is that the balancing response to Reiki practice helps digestion. Sushie, have you seen my book REIKI: A Comprehensive Guide? I heard your segment on the Winter of Wellness, and have begun Reiki self healing a few days ago. I have a few questions. Sometimes I don’t have time to do a full treatment in bed, but once I’m up I continue using one hand to complete the treatment while getting ready for the day. I also use my hands several times a day. Is this enough for a treatment, or should I try to stay still for a longer time. I am very inspired by your work, and have signed up for the daily email. Thanks so much. Patricia, you are the authority for your Reiki practice, no one else. Is what you are doing enough for you? Common sense tells us we get more from our practice if we are still because then the body can deeply relax, if that’s what is needed for balance at the time we are practicing. However, please keep in mind something Hawayo Takata often said, “Any Reiki practice is better than none.” On days when you are not able to stay in bed (or wherever you self practice) as long as you would like, continuing as you describe is a good thing, don’t you think? Hi, is it necessary to place both hands at the same position while practising reiki on self and others? No it’s not, Pooja, but that is generally how Reiki is practiced in a formal session. Thanks very much Pamela for your every day inspiring words.I have no difficulty to practice reiki now every day, although I have some questions. 1) I heard you speaking about meditation together with reiki.. but I am doing my yin yoga postures together with reiki , such as sukhasana and bending forward. So here my legs are crossed. Is that ok? 2) I teach yoga and like very much the reiki songs … the Buddha in me meets the Buddha in you… the symbols. Is it allowed to let it play to students in the yogaclass? It feels so good, and the meaning is so beautiful. So happy you are practicing daily self Reiki, Regina! Why would it matter if your legs are crossed? You can practice Reiki in any comfortable position. I don’t know what you mean about the Reiki songs, as they are not part of traditional practice. If you are referring to the names of the symbols, traditionally they are not spoken or sung aloud publicly. Hi my name is Dova and I am not a first timer but I have been to different teachers which I like the same constantly. All seem different. I am new at treatments for myself. I have done 5 times but I’m wondering is it just like yoga and mediation? I have felt the floating feeling and warmth tears of joy. How can I start my pratice for myself? Dova, my students practice self Reiki 5 times by the time we start the second of three class sessions. It’s just the beginning. Reiki is a unique practice, separate from yoga or meditation. However, all spiritual practice is balancing, and so you might have similar experiences. If you need a protocol for your self-practice, why not use the one that I share in the article above? I have seen many people be supported through difficult times with Reiki practice, especially if they practice daily self Reiki consistently, with commitment. Spiritual practices improve one’s state of mind, so we see more clearly and make better decisions. Hi Pamela, I just wanted to say thank you for the resources and for the beautiful patience, compassion and love you clearly demonstrate in dealing with the many comments you receive. Especially those from people whose journeys haven’t yet progressed far enough for them to actually read all of the other comments first before asking the same thing again and again. You are a wonderful role model. Thank you for your kind words, Lorien. Why judge people based on whether they’ve read all the other comments or not? It seems many people who practice Reiki need some support, and I’m happy to do what I can. I have doubt, me and my boyfriend were in healthy relationship. But now he is appearing for one of the toughest exams in the country and hence both of us are facing friction. There is completely no communication between us. I wish to heal this relationship and help achieve the goal together. Even I am appearing for the same exam but I am junior to him. Could you please guide me about the same. We cannot control the outcome, but if you are diligent in your daily self practice, you will be best equipped to address whatever adversity comes in life and to support those around you to the degree that is possible. Good luck! Hi, I just completed my levels 1 & 2 yesterday in a 2 day course and I have so many questions! I took the course just for my own benefit, so that I could do daily self treatments. My instructor recommended a 3 min daily morning treatment. Will this really be valuable? And she didn’t talk about drawing the symbols on your palms before treating yourself, is that not necessary? I feel lost…I don’t know where to start. And everyone said I’d feel reiki flow from my hands as soon as I received my attunememt, but I still don’t. So I’m discouraged. Do you have any suggestions for me? Heather, I’m sorry you had a less than satisfactory training experience. Why don’t you bring your questions to your Reiki master? If you are not happy with what you received, give him/her a chance to help you. My understanding is that one’s relationship with the Reiki teacher doesn’t end when the class ends, unless the student wants it to. I cannot speak to your training, as I wasn’t there, and it was so different than the traditional way that I teach (First degree on its own, and students practice daily self-Reiki for at least six months before considering Second degree training). If you need help with self-practice, why not follow the protocol I gave above, and aim for 30-40 minutes of hands-on First degree practice (no symbols) each day. If you are not able to get help from your teacher and you are considering another class, this article will help you make a good choice — Reiki Classes: What’s Right for You? I have been practicing Reiki for 2 + years now. From my Reiki I attunement, through today ~~ I believe the most important part of being a Reiki practitioner, at whatever level you are at, is self-practice (self-Reiki). For me, it works best in the morning, when I wake up. My husband and I (he is a Reiki II and I am a Usui Holy Fire Reiki Master) do self-practice as soon as the alarm goes off. It puts my day on right! In the past several years, I have probably missed max 10 days of self-Reiki. As a volunteer at the local hospital/cancer center, I experience the benefits of being a Reiki practitioner with cancer patients in various stages of their diagnoses. It is a blessing and a gift. As a practitioner, there are four of us who share a space in Bend…providing Reiki and Reiki classes. Reiki discovered me short after my father died. It has allowed me to “heal” from the loss of him and other life experiences I have collected over the years. Reiki is an incredible gift and one that I am priveleged to practice, teach and share. I have been practicing daily Reiki treatment for 5 years. I was diagnosed with reactionary asthma in my early thirties and I no longer need to use any of my prescribed inhalers, they’ve been trashed (or in my house recycled)! I rarely experience symptoms of asthma and when I do Reiki I place my hands over my chest as needed. Also, in the last five years I have reduced my meat consumption. I am off most meats with exception of cold water fish and I love collards and kale!! Hello to clean eating! Lately, I have been reducing and eliminating my exposure to chemicals, preservatives and petroleum in my personal care products. I have been making my own! I have learned to use natural and herbal remedies that work to treat and support me and families immune system when illness and imbalances show up in our in our bodies. We rarely have colds and when we do they are shorter and less servere. We haven’t seen the flu in a number of years! I balance my hormones by using vitex tincture, it has been very effective! Shortly after discovering Reiki, I started a dedicated yoga practice. My daily Reiki practice completely relaxes me and supports me in life affirming decision and choices!! What an inspiring story you have, Tonya! Thank you for taking the time to share this example of how many good things can start with a simple daily self Reiki practice. It might not be all we need, but it helps us recognize what else is needed, and motivates us to take good care of ourselves. Yes! I’ve seen this happen for others as well! I have a friend that just completed her Reiki II class and she has been doing daily self treatments for a year or two. As she has shared journey with me over the last couple of years, she has told me of how has started to change her diet. Recently she has been telling me that she is working on finding an exercise routine that works for her! I just smile and nod my head. Reiki therapy will change your life! Thank you Pamela for all you have done to help mainstream Reiki therapy! I have been practicing Reiki (along with other healing techniques) for the past ten years. I give myself a daily treatment going to bed in the evening. I also, send distant healing as part of my meditation practice. Sometimes loved ones seem to have drama, especially if something physical is going on…(healing crises?) My question is, Is it best to stop sending Reiki for awhile until the energy can process. Sometimes, my intuition says to hold off, or could that be fear/guilt? I know it is always for the highest good but just wondering your thoughts? Tricia, this is really a larger question than I can adequately address here, but the first question I would ask is if you have permission to offer distant treatment when you have those experiences. The second is if you are trying to accomplish something in particular, or passively offering your practice? I always caution against making assumptions of healing crises, and you might want to read about them elsewhere on the blog (use the search box in the sidebar on the right). With consistent practice and self inquiry over time, you can come to know the difference between your intuition and fear/guilt. It’s not a question another person can solve for you, nor can it be solved by thinking. It takes a lot of contemplated practice. Perhaps you’d like to discuss it more in one of the Reiki mentoring online webinars. Kevin, the best way to practice is the way you actually will practice. It seems likely that we get more benefit from a dedicated practice, as we are in effect layering the benefits of contemplation/meditation onto those of Reiki practice, but Reiki practice is effective even when we don’t pay attention as it is not mediated by the mind. Thank you Pamela ..I have another question please ..I was taught to treat the head first then the front of the body and then the back ..but does this have to be done exactly the same way or can I treat the back first. It would help especially at bed time as after treating the back I could just lie down and treat my head and front and fall asleep. You can modify the sequence you use to suit you, but it is helpful to have a protocol because then you develop a practice habit and don’t have to think so much about what you are doing. I am feel more Reiki at sleep and enjoys melting points of boundaries of Universe and me! I start by Reiki at bed as it gives the kick the whole day long and repeat at intervals thought necessary.Thank You Pamela and Thank You Reiki. So im pretty new to this would love some guidance totally confused with the whole reiki thing. Background – I have chronic liver disease after having had a Liver Transplant in 2006, followed by lots of on going complications still to this day. I suffer badly with anxiety and depression. M health is very up and down pain is an on-going thing im constantly on meds meds and more meds. I had reiki done at a spa a couple of years ago and still not stopped thinking about it (never believing in anything like this, I thought i might as well try it). Afterwoods I literally was “speechless” I physically couldn’t speak for hours after. I instantly felt better and felt i was able to turn OFF from everything, relived, my worries had gone and I felt i could carry on and battle anything. Through constant battling over 2 years now I feel I need reiki back in my life my family felt the benefits I had changed. This is where I come to you all for help Please. there is not alot of people round me that do it and they charge huge amounts of money and i really can’t afford it (£100+ for a spa day and then at least £60 for a treatment)!! Is there any books/dvds/videos/cds anything that i could use ? It is important to find a Reiki master near you who can teach you to practice and provide continuing support. Here is an article that will help you find someone reputable near you http://bit.ly/bM2xak If you are in London, I can make a specific referral to a Reiki master if you email me using the contact form. I have got 1st degree Reiki power from one of the Reiki Master from USA in 2008. I practiced it regularly and was doing self-treatment everyday. But since 2011 i couldn’t do it as i got married then kids and things have got changed. But now i want to practice it again. Is it possible to bring Reiki energy back again in my palms without the help pf my Master? It seems the reason you are confused is because you think Reiki is a “power” or an “energy.” Reiki is a spiritual practice, as is meditation. The initiations empower us to practice. Although daily self practice is optimal, sometimes people fall away from practice for a time, and all you have to do is start practicing again. I am really inspired to to practice hands-on self Reiki treatment every day and will do definitely. Could you please suggest how much time I have to spend for each point and when to draw symbols,,do you we need to draw for each point.? There is no need to apologize for not knowing something, but if you did not have adequate Reiki training, I encourage you to return to your Reiki master or find another one in your locale who is more suitable. This article will help http://bit.ly/bM2xak. I suggest leaving your hands in each placement for at least three minutes, and lingering longer as you are able to. The self-practice outlined above is First degree hands-on. It is not necessary to use symbols, but if you want to, use them as you were taught. I want to loose weight ,and I m attuned to reiki level 3. Can you give me some suggestions . Excess body weight is a symptom of an underlying imbalance. Daily practice helps to balance the digestive system so that it functions better and may improve metabolism. It also settles your state so that you are more present and able to make more healthful choices in the moment, and improves discipline. What keeps me practising..is the great bliss and relaxation that ensues, as well as the sense of being connected to something deeper and fuller, of “coming home”. I practise formally daily, and often in between, particularly if I’ve had a lot of experience in the “world”, as it helps to calm and process things and brings me back to the centre. Its helped sustain me through a period of bereavement, since my Father died (and others since too), and I’ve done reiki for others here and there too. By helping you feel more centered, you may find that Reiki self-practice helps with your studies. It is important to find a qualified, credible local teacher. I offer suggestions in this article http://bit.ly/bM2xak. If you email me through the contact form on this site, I will introduce you to a thoughtful Reiki master in India who may be able to help. I practice Reiki, usually, every night in bed. Sometimes I fall asleep before I’m through. It is hard to describe the feeling one gets waking in the morning knowing one fell asleep to the Energy of Reiki. I can only share with you what I do myself and what I encourage my students to do, which is to practice hands-on self-treatment every day at your chosen practice time for 30 minutes or longer if needed. And on days when that is impossible, do what you can. It is important not to skip your practice entirely. And remember that no matter how often you bring your hands to your body for brief moments of Reiki practice during the day (which is a good thing to do), these brief Reiki moments are not the same as a longer, full protocol practice. Can you please send me the detailed steps on how to put myself in prism an protect myself? Rajeev, I’m sorry but what you are asking is not part of traditional Reiki practice. Hi Pamela, I’m so happy I ran into your website. I’m looking into become a Social Worker and branching off into Reiki as I’ve heard many hospitals now offer reiki treatments. Do you have any tips? I’m 22 and already practice on animals and others in pain to realize I have the ability to heal others. Taking this as a sign, I am embracing it. Thank you for doing what you do, I really enjoy reading your blogs as they inspire a lot and hope to hear back from you. Actually i have got migraine. i feel very weak and dizzy also. When i get my mense it is even worst. i have done 2nd Degree reiki but can you guide me exactly how should i proceed to treat myself. Thank You so much….Always grateful. I’m so sorry that you suffer from migraines, but I don’t know how I can make the instructions given above any clearer or more specific. It is critical to self-practice hands-on every day, preferably at the same time of day, for a minimum of half an hour. When someone has a health challenge, it is best to practice longer, and perhaps twice a day until the situation stabilizes. Once you are stabilized in the benefit, you may find that a little less treatment will be enough for maintenance, unless there is an aggravating factor in your lifestyle or environment. Have you seen success treating Sleep Apnea with Reiki? How do I find a qualified practitioner that knows how to do this and help me help myself?Thank you. Reiki treatment doesn’t treat disease or address symptoms directly. Rather, it balances the overall system. This article goes into more depth https://reikiinmedicine.org/reiki-basics/how-reiki-healing-helps and this article will help you find a good practitioner or teacher https://reikiinmedicine.org/popular/reiki-classes-right-for-you. Listening to a friend talking about how his daughter is dealing with her cancer let me feeling that, even though I could be of help with Reiki, I´m not ready (or so I think) since my practice hasn´t been that consistent. So I made it my intention to practice daily, for me and for others (if needed). Also, at the same time I came to know and read Pamela´s book and it has re-started something inside that I want to continue developing. I started the same day it has been amazing since then,I have been going through a lot of pain since November of 2010(I had ACL reconstruction ) am still going to physical therapy it’s like I m falling apart mentally physically and emotionally,I m 29 and have a 4 yr old daughter she has sooo much energy I couldnt keep up with her but last few days I have been feeling a bit like myself before 2010 and I hope I keep it up every single day I can’t wait till I can help my husband he has hypothyroidism. Trupti, although people often like to take another class, it is not necessary. You can just start practicing again, and I hope you do! Sherri, Reiki is a particular healing practice that anyone can learn from a qualified Reiki master. You do not need to be psychic or have any special gifts to be able to practice Reiki, as the practice helps you to connect with your system’s innate ability to heal itself. This article will help you find a credible class in your area — Reiki Classes: What’s Right for You? I have just finished my second attunement and cannot believe theavenues that opened up’ I thought the symblos would be tough , but when you really want this, it is simple. The meditation and self healing is the most gratifying to me. I set aside evening when I know calls are eneded and put on my Indian Flute CD which is broken up into 3-5 minutes “songs” that make it easier to remember moving your hands. I do self reiki daily first in the morning when I am in the shower I find it a relaxing way to wake up and I have this cleansed sensation from the shower. I also like to do reiki at night when I first go to bed. I feel this is a great begining and ending to each day. Anoushka, I always go for the complete treatment. Try offering him a daily full treatment for four days, and then evaluate. Generally more treatment in the beginning is a good idea when possible, and then if needed, taper as benefits stabilize. Remember Mrs. Takata’s advice–any Reiki treatment is better than none–but keep in mind that profound healing takes time and steady effort. My husband has obstructive sleep apnea, he exercises regularly but has adisturbed sleep pattern, and takes a sleep pill every day. I’m sure reiki can help. Which would be the best hand positions for treating him. Thanks. Blossom, daily self-treatment is really key. The root cause of a symptom is never where the symptom presents, and spending 30 minutes or more going through all the placements is advisable not only in that you are touching all bases but also for the length of time that your nervous system has to down regulate. I have found that my hands move into place as my eyes open in the morning. But Sunday afternoons is my time for total focus on self treatment and meditation. I turn off the phones, put on some really nice music, light a candle then begin. Meditation takes on a whole new level for me after a self treatment of Reiki, it’s a fantastic way to start my week! Melissa, I love your idea of making a Sunday afternoon Reiki and meditation retreat for yourself. This time to reflect and rejuvenate is critical to our well-being. I say the 5 precepts first in Japanese and then in English with each hand position. I also include 3 hand positions of the back…the upper back, waist and my bottom. It ends up to be about 20 plus minutes every morning. Hi everyone, Reiki has been for me a Divine tool for us in the Earth in order to share between each other the love…after i stop for personal reasons my self treatment and Reiki for a while, i restart 2 weeks ago bcoz i was feeling too much anxiety and deep movements due the time im passing for and Thanks God i restarted to use Reiki and now i feel good again, my reactions are much different to all this im living and well, the best part, i restart to offer Reiki and its funny when your essence needs to serve, all the paths and things fall into the perfect balance to put yourself in the path again…Hope everyone of us could be able from wherever we are, to offer Reiki and service to us and to others bcoz after all we are all same and its time to do something for each other…in my case its through Reiki and im very thankfull for that. I’m so sorry to read of the vision problems you’re experiencing, Mary. I have 2 suggestions. First, be sure to give yourself a complete Reiki self-treatment every day, half an hour or more, letting your hands linger in placements according to your intuition or sensation. The tendency is to focus on the eyes, but remember that Reiki practice has the potential to balance your system from the deepest level, and the root of a condition is never where the condition manifests. Therefore full treatment is important. I would also encourage you to research what other modalities might be valuable in this situation. It may not make sense to rely solely on your Reiki self-treatment. Hello! I am a third-level reiki student and I love it!! I have learned to send reiki throough the distance and try to make it a point to send it to loved ones at least five times a week. However, I recently found out that I have macular degeneration. What positions do you suggest in order to focus on my eyesight as I have extreme myopia and I am very young to have macular degeneration. Thank you!!! Since I have practiced Reiki daily, I have noticed a profound difference in use on others as well as myself. The Reiki seems to be intensified when used on others and I am more aware of the guidance I am receiving for hand placement. I experience this on myself as well. I guess the old saying–The more you practice the better you become — is actually the truth. I usually do Reiki on myself when I go to bed at night. It is the most quiet time and what a peaceful way to fall asleep. My Reiki master, Claudia, taught and emphasized daily self-practice and it has stayed with me since my first class 4 years ago. I often do it just before falling asleep or just before getting out of bed in the morning (10-15 min. ), but frequently add minutes in the car (one hand on the wheel, one hand on the chest) or other times during the day. Once the habit is established, it’s part of your life, like brushing your teeth! It’s the been the biggest help to me with occasional insomnia (ie: after the death of my mother and during other stressful events), but a comforting additional to regular everyday life. I believe it would strengthen anyone’s connection to Reiki who is not currently a daily self-practitioner. I do a short self practice every day with my morning coffee. I combine it with other practices including a short meditation. Without fail, my day seems more peaceful and I experience that quiet intagible peace internally, also. I am regretably sorry to admit Reike is not a daily practice and I can still hear your words of the importance it makes in may life. Comments from last visit here in Md. I will post my reike practice on my shower door and commit to tdhe dailyh pracctice. Thank you for the reminder I do practice Reike with my massage clients ….and always get that ahaa what was that! response. Yes, I have been practicing since May of 2006. For me the moment I first placed my hands on my body I experience heat, and a feeling that it was right to hold my hands in various positions on my body. In the following weeks, my body started shaking like a dog shaking off water. I felt DEEP PEACE. I have never missed a day of Reiki. I also, knew that to practice Reiki everyday would increase my relationship with the universe. As Hawayo Takata says, “Just do it! Do Reiki, Reiki, Reiki, and you shall know!” In answer to your question Pamela, I would be an honor to join you in your effort to encourage Reiki practitioners to practice daily self-treatment. Yes, I’ve given myself a daily self treatment since 1981. Ethel Lombardi taught there was only one rule in Reiki – give yourself Reiki BEFORE giving to another person! Very clear! Period! And so, I have practiced faithfully both morning and evening and often during the day. Since becoming a master in 1984, I’ve taught my students to practice daily self treatment BEFORE giving to another. It makes so much sense to me. How can I offer this gift to another when I don’t honor it by receiving Reiki’s gift for myself? I find it is very easy to touch and receive. It is like breathing – something I do naturally often without conscious thought. Thanks for asking this very important question and for encouraging everyone to practice. Daily practice has brought me deep rewards. I’ve been practicing daily self-Reiki since I was initiated two years ago. I do mine at bedtime as I find the experience helps me to go into a deeper, restful sleep. I follow your 8 positions and listen to my crystal bowls CD. There have been a few occassions where I have given myself Reike twice in one day; helps ground me and reduce the stress. I love doing Reiki throughout the day, but i always do at least 30 minutes of self-treatment before i get out of bed and at least 15 minutes before i go to sleep. students practice self-treatment in my classes and encourage students to give themselves plenty of Reiki for preventive health maintenance. I self treat every night as I fall to sleep, not a full treatment. I am always up early to meditate, so I will commit to giving myself a full treatment in the mornings. I will be interested to see how this will effect my day. I am Reiki master since 1994 and since I took Reiki 1 I was tought to practice every day. As Hawayo Takata said. “one minute is better than nothing”. For me it has become part of my life. i couldn’t live without it, it gives me peace, stills my mind, I feel balanced and it is a real pleasure, it helps me in every way. Most of the time it takes me a whole hour. Of course it has always been a testimony of this miraculous energy that keeps me in balance, still and peacefull. I can’t say that I practice daily, its more like every other day. I enjoy doing Reiki on myself as I fall asleep. What most people don’t realize, is that the energy still continues to run if you fall asleep. This means that I get a full eight hours of a Reiki session on the nights I remember to do a self-treatment. Truthfully, its the only thing keeping me positive in these dark days. I don’t practice yoga nor do I exercise, and believe me, I personally know that things would be worse off in my life (and in my body) right now if I wasn’t doing this. I highly encourage all my my students to do the same. I agree with you Pamela that it isn’t regularly taught nor emphasized as part of the Reiki journey/path. Practicing daily, thank you for teaching it. It has made a big change in my general well being. Nothing dramatic, just feeling so much better overall on many levels. What made me do it, deciding for a discipline or the improved feeling from self treatments, I do not know. I guess a bit of both. Now I just want to deepen my understanding of Reiki, never believed how multifaceted it is. Yes, I practice Reiki self treatment daily, and I really look forward to each treatment. It really helps me to get going each day. I find that I am becoming more and more comfortable and confident with each client treatment. I would like to know if reiki energy increases with daily self treatments, or should I have another attunement to increase my reiki energy? I have been a Reiki Master Teacher for three years now. I preach, preach, preach daily self-treatments for students after an attunement. To the friends and family I’ve attuned, I’m quick to recommend it when they are going through a tough time. Finally, at the first of this year, I began taking my own advice. The results have been phenomenal. Frustration, dis-ease and dis-satisfaction had crept into several areas of my life. After purchasing a beautiful, dynamic and rare specimen of green citrine, I was moved to begin daily Reiki. The results…PHenomenal!!! Peace, joy, and most importantly, satisfaction returned. My full-time work is as a high school teacher. Joy returned to the classroom. I feel like I did when I first entered the profession and saw my students as eager, capable and fun rather than resigned, uninterested and frustratingly disconnected from school. The shift has been real. And it started here with me. It started with being balanced. Daily Reiki is the key to living the Usui five principals with ease. Thank you so much, Pamela, for your words of wisdom. I like to do my self-treatments at night when the house is quiet and I can let go of all the daily stressors. It is a wonderful way to wind down and relax. Sometimes I just feel like I am floating on a cloud – delightful! Occasionally I will do a self-treatment mid-day when I need some rejuvenation. It’s so much more effective than a nap! When I teach Reiki, I take my students through a complete self-treatment following the attunement, stressing the importance of healing the healer. Healing is sharing your love and in order to love others, you must first love yourself! It has made such a difference in my life and in the lives of my students! In fact, I will forward this on to my students so they can share in the experiences of other practitioners. I wouldn’t go without my daily Reiki! Thanks Pamela for encouraging others to incorporate this practice into their lives. I’ve had Reiki in my life since I was a child and really don’t know life without it. – AND I wouldn’t want to. I practice Tai Chi daily and since taking a course with you I have added a self-Reiki treatment. It seems to have helped my sinuses and has given me an increased feeling of well being. I have also begun to sucessfully treat other people on a voluntary basis and if everything goes well will start a Reiki practice in March of 2011. Thanks again for your encouragement. No, Ron, there is no reason to be concerned if you doze off during Reiki treatment. You are probably not sleeping, but rather being drawn into a meditative state. You can tell by how you feel when you “wake up.” If we sleep during the day, we usually feel heavy and groggy afterward, but we come out of this meditative state feeling very clear, light, and refreshed. The Reiki connection continues as needed whether we are awake or asleep. If, however, you find that you are consistently not placing your hands at the navel and lower abdomen because you’re zoning out at the solar plexus, and don’t have time once you’ve come to, then you might consider alternating starting your sessions at the head and at the lower abdomen. Even though the systemic response happens no matter where we place our hands, there is also a local response and people seem to get the best results by accessing all the placements. Pamela can you elaborate further on this? What do you mean by Reiki connection? I’m going to give this back to you, Eduardo. What do you think I mean? 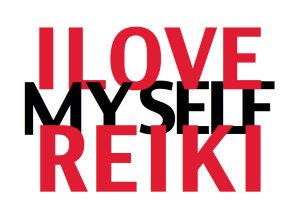 Why do you practice Reiki? Isn’t it for the Reiki connection? Anyway, here is how I understand things at this early stage of my practice. Reiki connection is the reason for our Reiki practice. I almost think sometimes it is the sole reason why we do what we do. Yes, healing is there but it is mostly a by-product of our connection as we do practice ourselves and as we share this with others. I think we are always connected to Reiki, or more importantly we are part or an aspect of it, and there are times that I feel we ARE Reiki. As any practice, there are times when things feels so good and so powerful that this awareness is so potent. Other times it is not – but that is true of any spiritual practice that we do. The reason I asked you this question is to clarify what you meant by “the connection continues whether we are awake or asleep.” I agree as I always thought we are always connected – no matter what. The part I’m not sure is about the hand placements and why we do it. We are connected always, so when I place my hands on myself or others, I seem to enhance that connection or as what is often quoted, “Reiki is turned on”. But there are instances where I feel it is always there, that it is always on. I feel that when I do go deeper into this practice, that the hands won’t be necessary because I think they are just tools to achieve an end. I hope I’m making sense because sometimes I feel I’m not, hence me asking that question to you who has had so much experience in this. Some say “Reiki is intelligent and it knows where to go.” I am not sure I understand it that way. I feel Reiki is not like something that need to go somewhere. It is already there. So no one and not even Reiki itself need to go to a place where it is needed. We are always connected no matter what. We might probably be more conscious or aware of that connection and maybe that is where balance is achieved and healing comes along. I’ve learned of chakras in the other systems and I agree with you completely that it is of another system and is not really part of the original practice. But even with that yogic system, I wish people did not made them objects to the point that they assume they are physical because they are not. There are locations, yes, because in that system it was posited that the chakras “exist” just above the physical plane, hence they relate it to certain regions in the body. But I think the more advance yogis already know that everything is but an illusion as we go nearer the true reality. And that includes the thought that even the chakras are illusion. I mention this because, I suspect that that will be the case with this spiritual practice of Reiki that we do – that in the end (if there is such) that we might not need our hands. In the end, we are so connected or so conscious of our true nature that we do not need our hands. But the nature of this practice is such that we useour hands as Usui has started. So the other side of this would be: we always would be using our hands as it is Reiki practice. What do you think? You place your hands to practice Reiki. If you fall asleep, but your hands stay on your body, the connection is still there. Your hands practice First degree Reiki, not your mind. I too have questions about Reiki and how it is always flowing and always there or here and always on or present so why do we need to use our hands? We can give Reiki with our eyes and our thoughts too , correct? Pamela you didn’t comment on Eduardo’s idea about not needing hands to practice Reiki. Just wondering what you think. I cannot speak to Reiki flowing, as that is not my understanding. 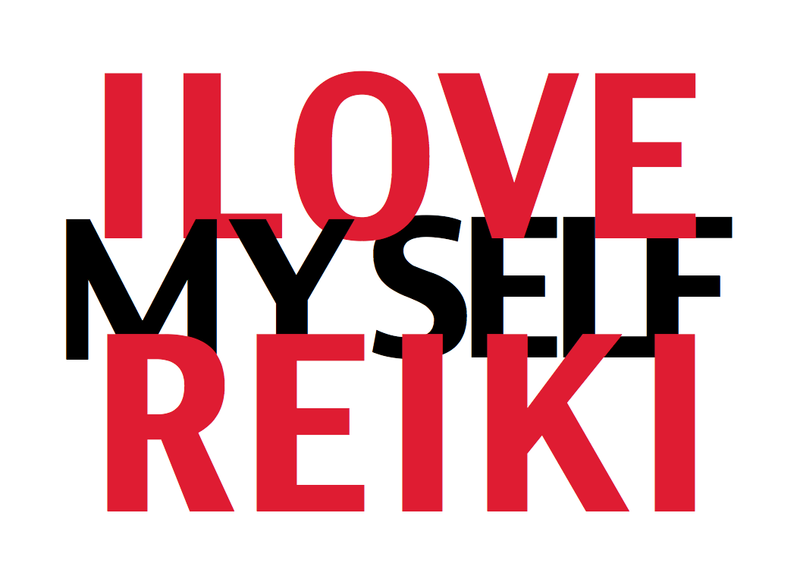 To me, Reiki is a practice. We all start at First degree, which is practicing with the hands. The reason we have a spiritual practice such as Reiki or meditation is to be able to be aware of that which is everywhere all the time. I try and do a self-treatment on a regular basis and I find that when I do take the time to do a full self treatment-my night sleep is restful. However when I do the self treatment (which usually happens in the afternoon after I get back from work) , I find myself dozing off mid-way-especially when my hand positions are at the solar plexus region. Should I be concered about this. Daily self treatment for me is usually just before rising or as I lay down for the night. It washes away the cares and troubles of the day and sets my mind at peace instead of the constant circling of thought. Though I do the hand placements differently, usually one on my forehead and the other on my lower abdomen. Then after a bit I switch to upper chest and upper abdomen, if I make it that far without falling asleep. I always thank those close to me (spirit guides and my Reiki masters in spirit). I am saddened when I meet a new Level one and they haven’t been given the knowledge to do a daily self treatment. A major failure on the part of the teacher I feel. They have said that “My teacher stated, I’m so in-tuned that I don’t need to do a daily self treatment.” I just raise my eyes to heaven and then delicately as possible give them all the good reasons for doing a daily self treatment. I also self treat on a daily basis, Reiki to me is a way of life. I use the Principles so many times in my day, if I need grounding, strength,energy or just because i love the words….’Just for today’ I find my hands usually place naturally where Reiki is needed. Students are also taught self treatment is the gift we are given and as food fuels our body Reiki is fuel for our soul. Thank you Pamela for the wisdom you pass along to us. I am hooked on daily self treatment! Why? Because it is the most comforting and grounding support system I have ever experienced. Reiki self practice is a simple, pure haven amidst inevitable life challenges and chaos. I’m obsessive by nature, I think, so having a healthy “must do” is pretty terrific. I’m very happy that I’m hooked on daily self treatment. Reiki has helped me “un-hook” from destructive obsessive behavior like eating a bag of chocolate to deal with stress and then starving myself mercilessly to make up for the damage. Maybe that seems like a superficial benefit but it is a real change I can put words around…so many of the benefits I experience from Reiki are subtle and gradual and not so quantifiable, you know? I feel that Reiki supports all areas of my well being and it has taught me to trust patience. Dear Pamela – I have been practicing daily Reiki since I was initiated into 1st degree – almost two years ago now. I experience the release of toxins, an improved feeling of physical and emotional health, and a strengthening of my spirituality. Every time I have thoughts about how awesome is this great gift, which I believe is from God. I too have seen the light of daily self-treatments. I met you Pamela, in Columbia, MD last year and was very inspired by you and other practitioners that I have met.For me, since learning Reiki in 2004- it is ever changing and evolving my life to better myself, so I may help others with my gift of Reiki. friends, family and anyone who might like to receive Reiki. Keeping it simple works for me. This is what works for me. I’m very grateful to have Reiki in my life. I practice self-Reiki every day and have since I was first attuned 14 years ago. As a Reiki teacher/mentor, I coach and encourage practitioners to give themselves the gift of a Reiki session daily as well; it is true that we don’t always FEEL something or NOTICE a change immediately. Over time we realize that it is not necessary to ‘pull up the seed’ to see if it’s germinating; this beautiful healing energy works on so many levels it would be impossible to keep track of what happens when! I finish my day and fall to sleep giving myself Reiki and focusing on gratitude. When I began teaching, I started to do Reiki on myself every day so that I would feel like I was practicing what I encourage in others. For several years I’ve done Reiki on myself every morning before I get up; if I rarely have to bound out of bed without Reiki, I don’t feel a sense-of well being and balance. Glad to hear that Mrs. Takata didn’t teach the Hui Nin – I found references to this in my reading and research and felt like this was not passed down as it should have been. I’m all for the simplicity! Focusing on the Hui Yin was not part of Reiki as Mrs. Takata taught it. Reiki, as I learned it, is a very simple practice intended for anyone to be able to use. I always feel that this simplicity is one of the beauties of the practice. Thanks so much, Susan. And did Mrs. Takata ever speak about the type of concentration Honor described? Honor, I learned Reiki from Hawayo Takata in 1978. In the classes I attended, Mrs. Takata taught seven primary positions for self-treatment—very similar to the positions Pamela uses—covering the head and torso. Our focus was simply on our hands and the experience Reiki brought us. Mrs. Takata recommended spending 4-5 minutes on a position, unless we felt the inclination or need to stay longer. That 4-5 minutes gave us a framework as beginners. With practice, you often have a sense of when you’re ready to move your hands. She also made it clear that we couldn’t harm ourselves by doing too much and that some Reiki is always better than no Reiki! I learnt the Usui form of Reiki, and my Reiki Master also counts Phyllis Furumoto and Mrs Takata in her lineage. I realise, on reading back, that it was another person’s comment here that talked about 15-20 minutes. I will try using only the hand placements that you mention, and see how I go. I will also stop worrying ( ‘Just for today, do not worry’!!) about the Hui Yin point – maybe that was my Reiki Master’s own addition. Yes, I try to give myself one or two Reiki treatmens every day. One in the morning when I wake up, and one just before sleeping. It gets me more balanced during the day and peacefull for the night. Thanks for your support Pamela. Honor, my training is in Takata’s direct lineage, now led by her granddaughter Phyllis Furumoto. There is some variation in hand placements even among those of us who stay close to Takata’s form, but from what you have shared, your form seems to be quite different from mine. I was taught to practice using the 8 placements listed above and in the appendix to my book; I was not taught to place my hands on my back or my feet. I didn’t write anything about 15-20 minutes, and in my own practice, I would consider that a minimal treatment–minimal, and certainly better than not practicing at all! I was also not taught to concentrate on any point, or anything. It seems to me to be the opposite of Reiki practice, as you seem to be experiencing. To my knowledge, this is not something that Takata taught, but rather a post-Takata American add-on, for which I personally have never felt a need. If you aren’t happy with the experience, you could try practicing without it and see how that goes for you. Thanks for putting it out there – Every Day. First thing in the morning before moving out of bed, Last thing at night before sleep. Sometimes the feeling is almost ceremonial, but it is always soothing, even when very tired. The feeling of connection with the world and things greater than self has grown over time, significant disease healed, heart healed, lifelong phobias disappeared -not from “working on them” as Issues to be healed, one day, facing a situation which before would have me screaming in fear – it just was not there. And then something wonderful happened! Each morning now is filled with such joy I could leap out of bed and dance! Sometimes I do. From Groucho to Barishnikov – Thank you Reiki. Thanks Pamela, for helping inspire so many about reiki. I have been using reiki since 2004 and it has helped me deal with migraine headaches and pain more then anything. I now have less headaches and if I do get them, they don’t last 4 days, like the use too. Also the pain isn’t as severe. I practice daily reiki, usually both early morning and evening or any time I feel I need it. I practice self treatment every night before bed.It is my end of the day ritual. I have done this since my very first Level 1 class over 7 years ago. What stands out to me most is the complete sense of trust,refinement and a much more graceful mind my daily treatment brings to me. I have developed a more whole sense of equilibrium.I would love to shout out from the rooftops the amazing beautiful things that happen right before our eyes with regular self treatment but anyone who does this probably already knows. I think it is wonderful how Pamela continually urges everyone to use the best tool we have, ‘daily self treatment’ because it is the best way to help yourself and others grow and realize the potential Reiki has. I was just thinking this morning after I finished my self-reiki treatment how much I love and benefit from this daily practice. It has definately deepened my appreciation for and my ability to practice and teach reiki with others. I don’t feel the need to embellish or enhance reiki, all I do is simply put my hands on others or myself and I trust that reiki flows. This trust and faith in this amazing practice is stronger and stronger as the days, weeks, and years go by with my self-treatment. Reiki is beyond the mind to understand and goes/comes straight from the heart, I feel, and my daily practice reinforces this “heart understanding”. Self Treatments both start and end my day. In the morning I meditatively move between positions instinctively listening to the messages from my emotional, physical and spiritual bodies. As I move hand positions, I repeat the precepts to myself. This process rejuvenates me and helps me greet my day with enthusiasm and vitality. At bed time the self treatment process is not always completed depending on my degree of fatigue. This ensures me a restful sleep and quiets my busy mind. I frequently awake with my hands in the fourth hand position after falling asleep and I just move to the next spot and I am instantly back to sleep. During the day, while working as a therapist I will place my hands on my self and give myself a mini vibrational boost, this helps my ability to be attentive and focused with my clients. I encourage students and anyone who has Reiki to make sure they commit to self treatments. You will feel the difference and potentially experience new levels of calm and inner peace. One thing that I have found difficult is trying to fit in an hour’s self treatment, because I have been doing the hand placements on my back ( with great difficulty and discomfort ) as well as the foot placements as well as the placements you list. I can feel an agitation in myself at how long it is taking. I realise that giving that time to myself is my lesson, but was surprised to see that you talk about it only taking 15-20 minutes. Could you clarify this for me? I also find it very hard to keep contracting the Hui Yin point – I find that I am concentrating so hard on that that I can’t just drift into the depth of peace of Reiki. I understand that when I do my Reiki Master Level 3B (the level that will enable me to pass on the attunements to others ) the Hui Yin has to be contracted right the way through the whole process…Help! Sounds wonderful, Janine. Thanks for filling in the details. Even though most people experience the stress-reduction benefits, different people notice other details, improvements that are particularly meaningful in their specific lives. Reiki practice is balancing. Thanks. With practice, I’ve found a peaceful center inside myself that I can visit daily. Even if in daily life I lose that connection, it is becoming easier to find it again. I can tune in to what I want in a situation without having to poll friends and family. My relationships have improved. And I am so much happier! Great to hear from you, Janine. Any details you can share about how the texture of your life has changed? And congrats on your yoga teacher training! Before I learned to practice Reiki self treatments every day, I had a hard time relaxing. It was my doctor who gave me Pamela’s name. It has been a year and a half now of daily treatments and the texture of my life has changed and is still changing. And in two weeks I start yoga teacher training! It is inspiring to read how Reiki practice has lit up the lives of other people on this board. Thank you. I have been practicing reiki self-care every evening since early November. I follow the hand placements that you suggested Pamela and take my time to turn inward and allow the gifts of reiki to wash over me. The benefits have been overwhelming and have extended into in all areas of my life… There have been profound changes in my over sense of well-being and I feel so much more comfortable in my relationships.. I like to say its as if years of therapy are finally “kicking in”…. I am at ease and simply put I am happy… I feel empowered!! I am so thankful and cannot imagine a day without Reiki. I’ve been practicing the Reiki self-care treatment regularly in the mornings before my yoga/meditation/pranayama practice for the past 6 months. I been following Pamela’s sequence for 5 minutes on each area and notice a profound difference in my consciousness. I feel more balanced, present, compassionate and content. I feel a deeper connection to my body and notice the different sensations when I place my hands in different areas, which slightly shifts everyday. It’s a magical discovery everyday during the reiki self-care practice. For me, it’s a powerful practice for enhanced health and spiritual growth. So far, in 2011 I haven’t missed a day and made the commitment for DAILY self-care. And thank you for taking the time to comment, Lora–I LOVED reading this! Today was the first time I did self reiki in the morning, just as you said, before getting up for the day. I had a super great day and several wonderful things happened. I’ve mostly done reiki for this or that, as you pointed out, and hadn’t really considered it for my overall balancing. Well, smack me on the head! Of course it all makes so much sense to take care of myself this way! I’m still learning to love myself and I’m so excited to embrace self reiki as part of taking care of myself and becoming more balanced. I am in the same situation as Lora. I embraced Reiki a few years back and have practiced it on my family on various occasions. I have yet to make it a part of my daily routine. I had an image in my mind that I had to find the right room….be alone at home…set up an atmosphere….etc. I look forward to trying your suggestions and living with Reiki. Thank you. Penny, please do let us know the difference daily practice makes in your life. Thank you so much, Melody. I hope your story inspires many others to practice daily self-treatment. Chronic pain has many deleterious effects on the human system, and it is very important to reduce pain. Since medications are unbalancing, it’s valuable to replace drugs with non-pharmacologic approaches when possible. This enables the body to heal more efficiently because it is not fighting the drug side effects. Hi Pamela, was wondering if Reiki could be used to heal pimples and skin problems? Also, will it work on diabetes (for my mum) I am planning to pick up Reiki! Thanks! Marsh, Reiki practice does not address specific symptoms or conditions. Rather, it encourages the overall system toward balance, and as a result of that balancing process, the underlying reasons for various symptoms might be healed. As Mrs. Takata often said, “Remove the cause and you remove the result.” I have seen people with diabetes or prediabetes have very good results, but sS much depends on the individual situation. Well since I started self treatment of Reiki and living by the Reiki principles, my outlook on life has improved, I am so much more positive and wake up each morning full of energy and vigour! My health has also improved with a noticible reduction in my asthma symptoms. Life is good now Pamela…well actually its great!! That’s wonderful, Mike. I’d love to know some specifics of the changes you’ve seen since you started your daily Reiki self-practice. A great way to start the day! I practice early evening and have only been living with Reiki for a few months but it has changed my life so much already! That’s a great idea, Paige. Can we count on you to give us updates on what difference daily self-treatment is making for you? I will do it. It sounds like a great way to start the New Year. It would be neat if people said how the experience was changing them or give updates. I will blog this Pamela! Such a fabulous wish for the New Year. I use a 2 minute timer and do the 8 positions you list, ending back at my head. This way I know it’s a 15-20 minute treatment and I can fit that in to my day easily. I start the day, with a self-treatment in different ways,since 1992 in the morning and evening. Also during my way to work in the train. Later I am using Reiki for my seniors,on my working place in the nursery…. Mostly, I lay hands on the special parts of the areas, where the pain is located.. that helps a lot.